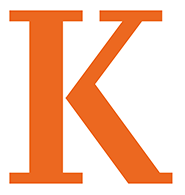 The mission of the computer science program at Kalamazoo College is to provide students with a foundation in the concepts and skills underlying computer science, in the context of an integrated, multi-dimensional liberal arts program. The program serves the needs of students at several levels, including students who take only one or two courses in the program, computer science minors, and computer science majors. At every level, the program is designed to expose studens to the central theoretical concerns of this rapidly evolving discipline, and to generate an understanding of the principal techniques and algorithms necessary to support meaningful applications. The study of computer science enriches a liberal arts education by fostering skills in problem-solving, logical reasoning, organizing information to make it easier to understand and manipulate, expressing ideas precisely and effectively, and managing complexity. The computer science program is committed to providing a firm foundation in computing to our majors and minors, and to creating an environment in which students who do not think of themselves as computer scientists can learn about the discipline, discover an interest in it, explore, and thrive. Students who graduate with a major in computer science go on to careers in computing and to graduate school in computer science.